42 inch plasma TV with own SKY decoder-enjoy over 50 digital sky channels including movies, sports, news and documentaries. Most of these units are suitable for 3 adults or two adults and up to two children. 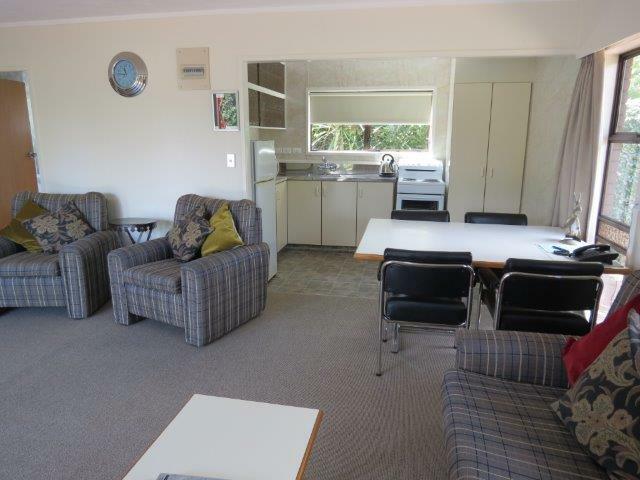 Spacious studio unit with HUGE bed, pull out divan, 42inch TV, SKY, aircon, kitchen and much more. 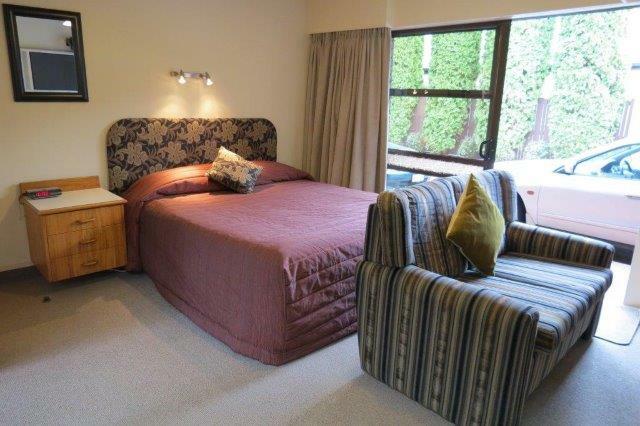 Queen bed and wide single bed in a spacious unit-large enough for the whole family! Only one available. This unit is back from the road, north facing with parking right outside. This unit is suitable for one single or a couple. 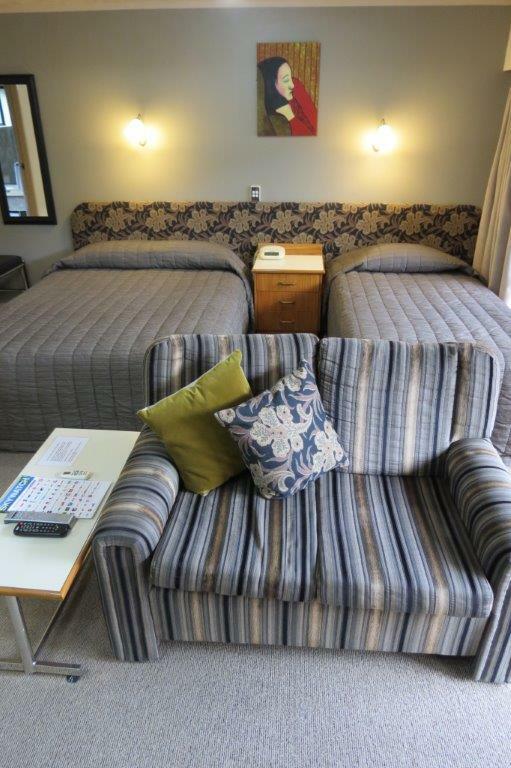 Queen bed and double sofa in a unit that is our smallest, but still quite large! Only one available. This apartment is north facing with parking right outside. This unit is at the back of the building adjacent to the park. 42 inch plasma TV with own SKY decoder-enjoy over 50 digital sky channels with movies, sport, news and documentaries. This apartment is suitable for up to four adults plus two children. The park is a few steps away for the children to play. It is suitable for both long and short term guests. Large open plan lounge with pull out sofa, 42 inch TV with 50 SKY channels, large table and fully equipped kitchen. If the 2 bedroom unit is not available and more spacious accomodation is required, we have the solution. Two studio units, either a classic studio or a California King studio or two of one type, can be used as an alternative. This is ideal if you have teenage children who need their own space but still want to be part of the family unit, or a group of people travelling together. 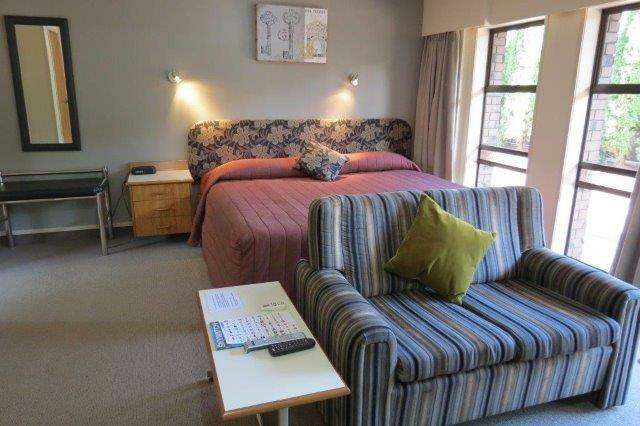 In this situation you benefit from double the amenities – two 42 inch plasma TVs, two bathrooms, two kitchens. The two units used will be close together if not side by side. Join up a California King Unit with one of our Classic Family Units – ideal for an older family!